I bought this pump with my 750XXL about 8 months ago. The pump worked great for about 6 months. The pump seized up, requiring a trip to an aquarium store to buy an interim replacement. Bulk Reef directed me to Coralvue for service. Customer service was fine. I sent the pump to them as requested,(shipping was paid by me), and they sent it back with a new impeller. That lasted about 1 month before it seized up again. I'm back to using my back up pump, waiting for resolution to my problem. I, so far, have no complaints about customer service from Coralvue or Bulk Reef. However, the quality and dependability of this pump is questionable. I got two of these to use as return pumps. They both start and stop sporadically. They have only been used for two days also. One more than the other but I can’t even use one since it does it every 2 mins. Tank is limping on one pump right now. EXCELLENT PUMP . MOR THE HAPPY WITH IT!!! I have been running this pump for 1 year and some months. This pump runs great. 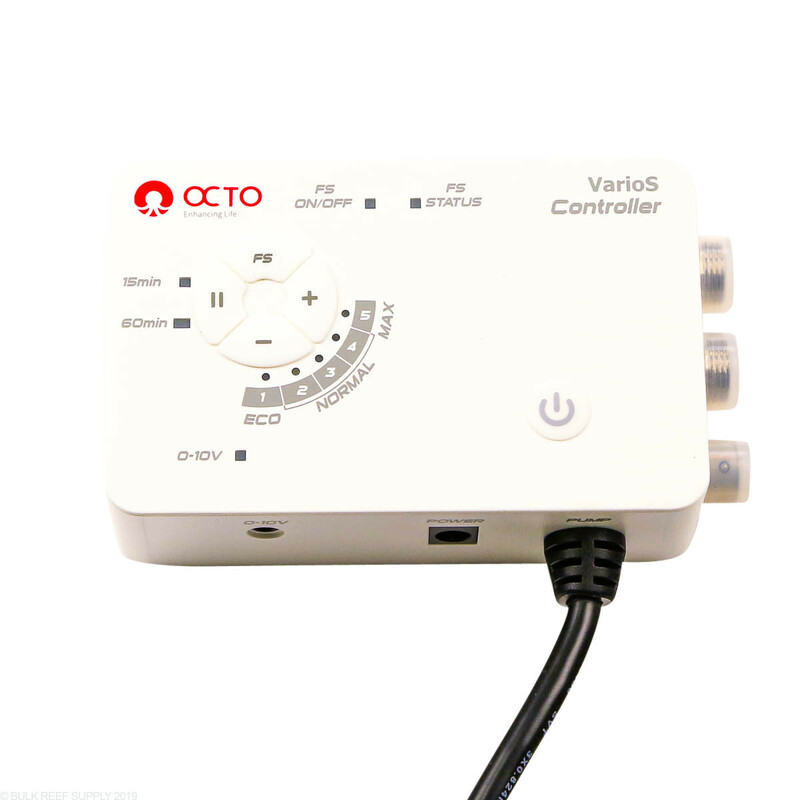 I do not see how this pump (Varios 6) received any bad reviews as it runs great. 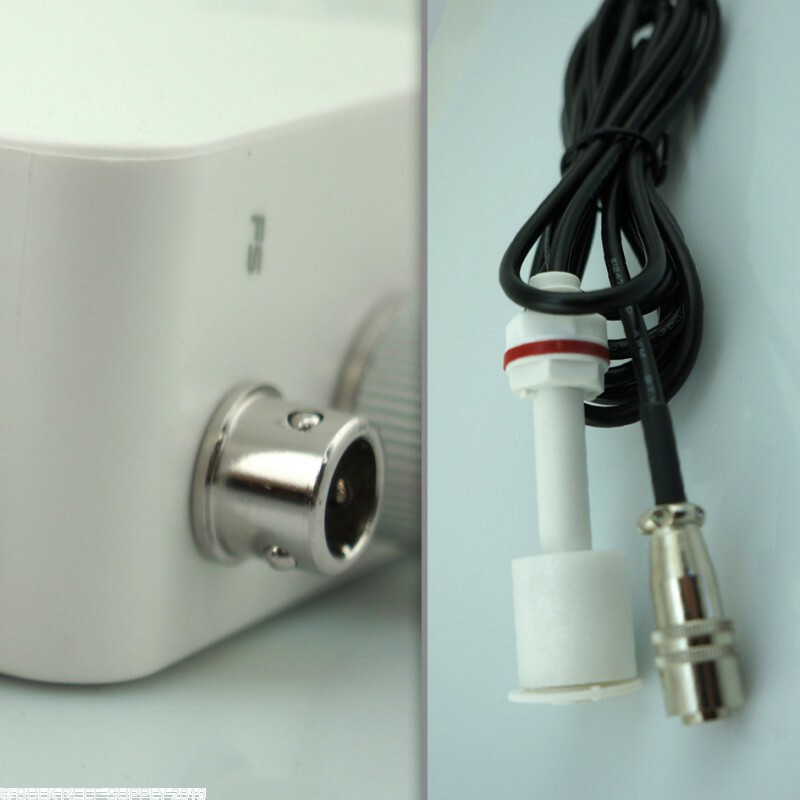 I have not had any issues with this pump and I plan on purchasing the varios 8 when I upgrade my 150g to a 300g. 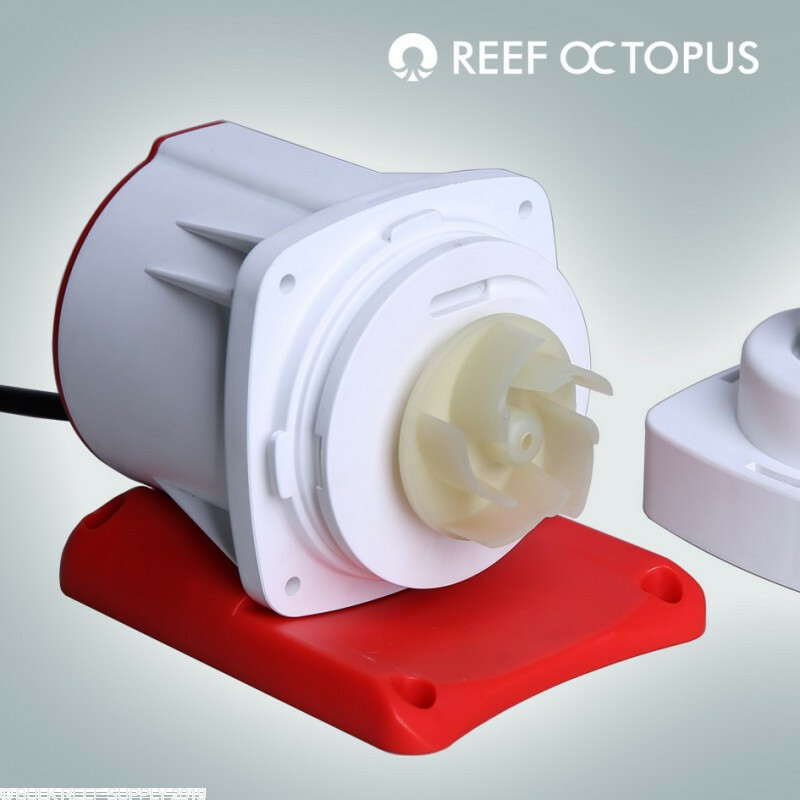 Reef Octopus makes great gear and now we can add the pump to the list of outstanding gear. I have had this pump running for about 2 years. It is not quiet, it is silent. The only noise I can detect is a low low water turbulence going through the soft plumbed return line. The pump itself hasn't had any problems and hasn't been cleaned once. The controller did malfunction as the LED lights stopped working. I had to buy a new controller from the manufacturer at about $70. I have a skimmer with the same pump and it has the same track record although the controller has been fine. Most likely I will buy this again in the larger version when I upgrade. I purchased the varios 4 and varios 6 thinking I would have good pumps. The reviews seemed good enough. But, once these pumps were installed, The flow is no where near what they are rated for. 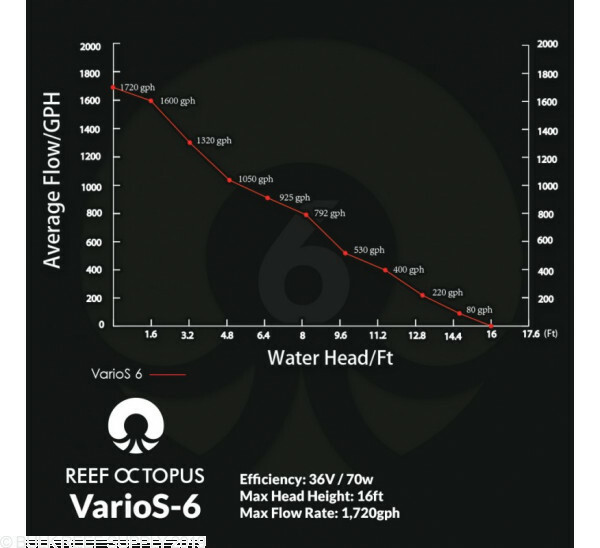 The varios 6 has a max head height of 16 ft. I have 2 90 degree elbows and a total of maybe 5' head height. I am only getting around 250 GPH with this pump. Somehow the flow has been fractioned with just that little bit of head height. There was no noticeable difference even when it was only about 4 ft head h eight. I still maintained approx 250 GPH. Very disappointed with the performance. I would have maybe expected half of the flow loss, but I did not expect to only get about 15% of the performance it is rated for. So far so good its only been running just a few weeks so I am crossing my fingers . Quite operation . Lets hope it stays solid! So I have a few tanks and this is the loudest DC return pump I have. I bought because it was to be the quietest and feel let down. Not as loud as a mag but pretty close. Summary: If you want to use this as a main pump I would think twice. I personally would not recommend or buy again. Strong, efficient, quiet and reliable. Not much more you can say. In terms of noise, when running full blast, the pump has a very soft noise, something higher than a hum but lower than a whine. When I close the door to my sump, it's inaudible. In any case, it's softer than my IceCap K2 skimmer. I purchased the VarioS-6 for a new build. The pump is inside the sump which sits below the tank. It ran very quitely on the 1st day with no issues. Day 2 and I noticed the pump would cycle off for a few minutes then back on and would continuosly repeat this pattern. I checked the float switch on/off and status lights and they were both green. I checked the power supply light and it was green too. I disassembled the pump and verified the front bushing was fully inserted into the white shield. I contacted BRS and they contacted Coralvue to open a ticket. At this point I am without a pump and waiting to see how Coralvue will resolve this problem. I am skeptical of the reliability of this product and wonder if I just got a lemon or are there dependability issues since it failed after the 1st day of use. 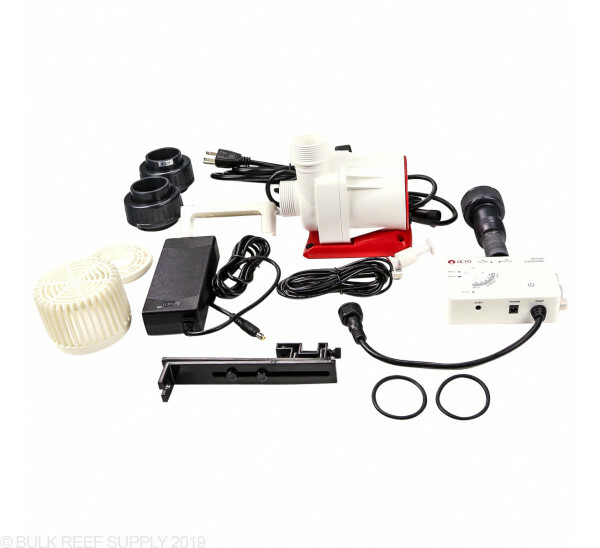 Would the ecotech battery backup system work for this pump? If not, which system would? How do these pumps do in terms of noise produced? And are these "Apex Ready", or "compatible with an Apex"? 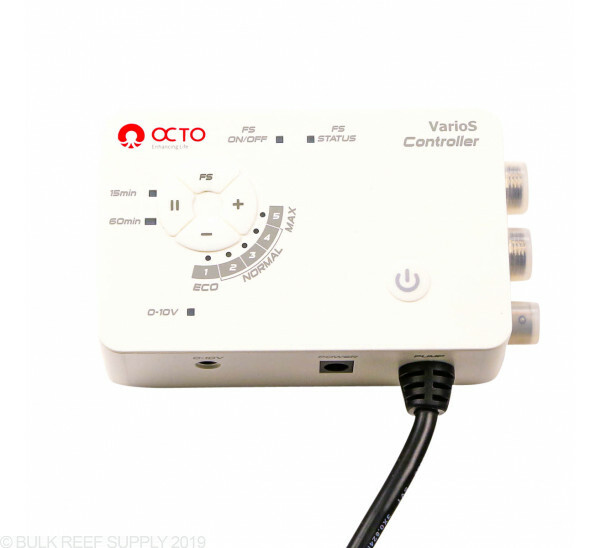 The VarioS pumps are “Apex Ready” pumps and are very quiet just like all other DC pumps. On full blast you may hear the slightest bit of noise but if you turn the power down just one step they will become virtually silent. 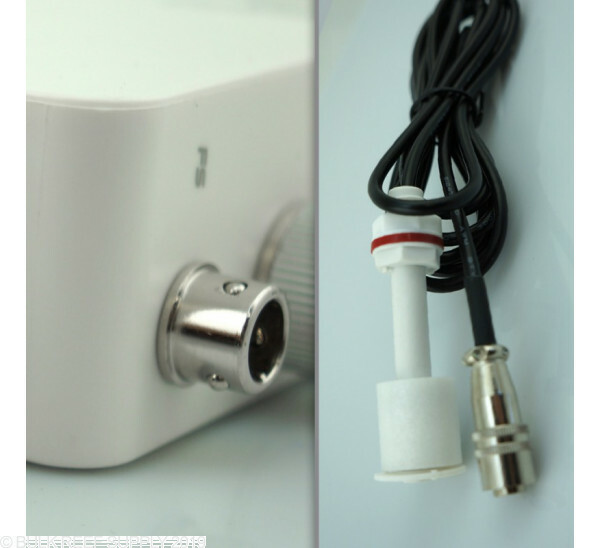 What cord would be needed to connect this pump to an apex controller? I'm setting up a 120 with 40 gallon sump. 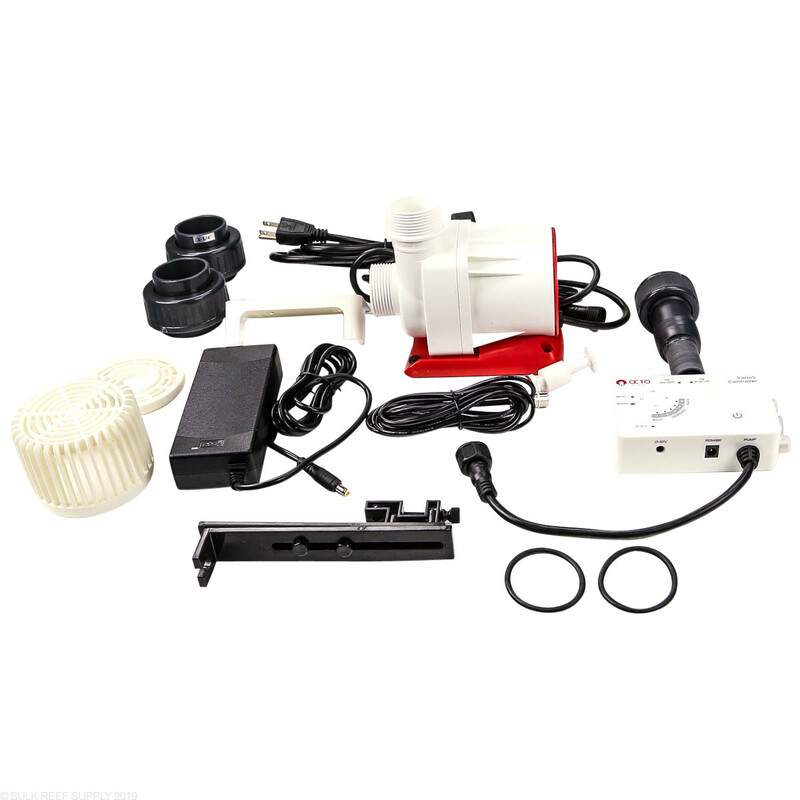 What would be a good reliable pump for this system? I have a Red Sea Reefer 250. 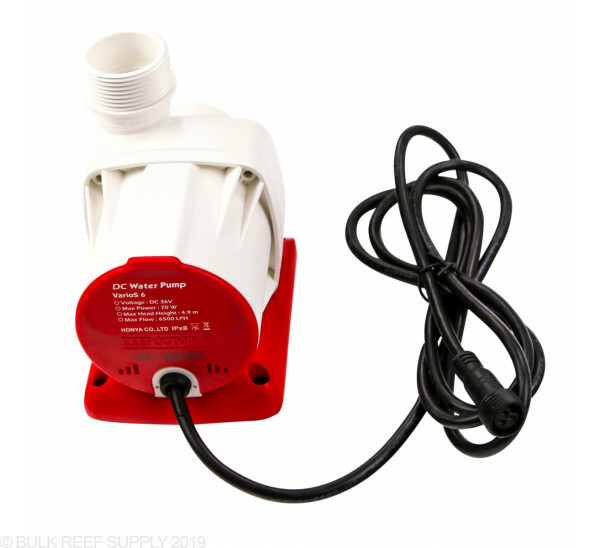 Would this return pump be over kill for a reefer 250 with a few media reactors and UV sterilizer added to the return line? Thanks for getting in touch with us in regards to this pump. This would work perfect for what you are trying to do there. This would also allow you to not have to run the pump on its highest setting which would put less stress on the pump throughout its life. Please let me know if there is anything else that we can assist with. Thanks! 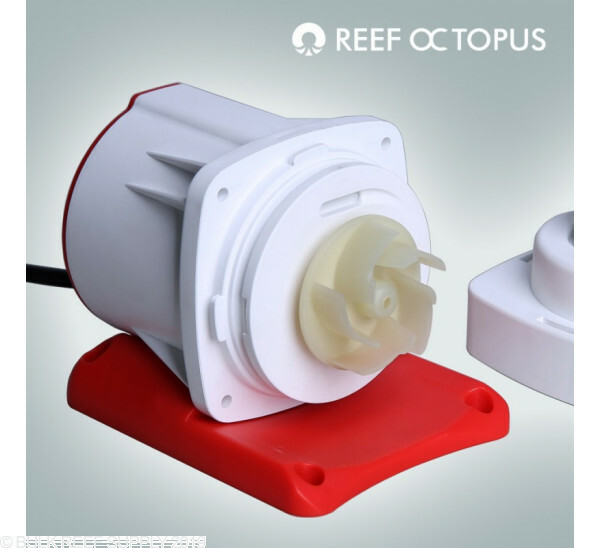 Can this be controlled with the reefkeeper and the APC mod, or even with the feed mode on the reefkeeper? Or will i need to use the pumps controller? 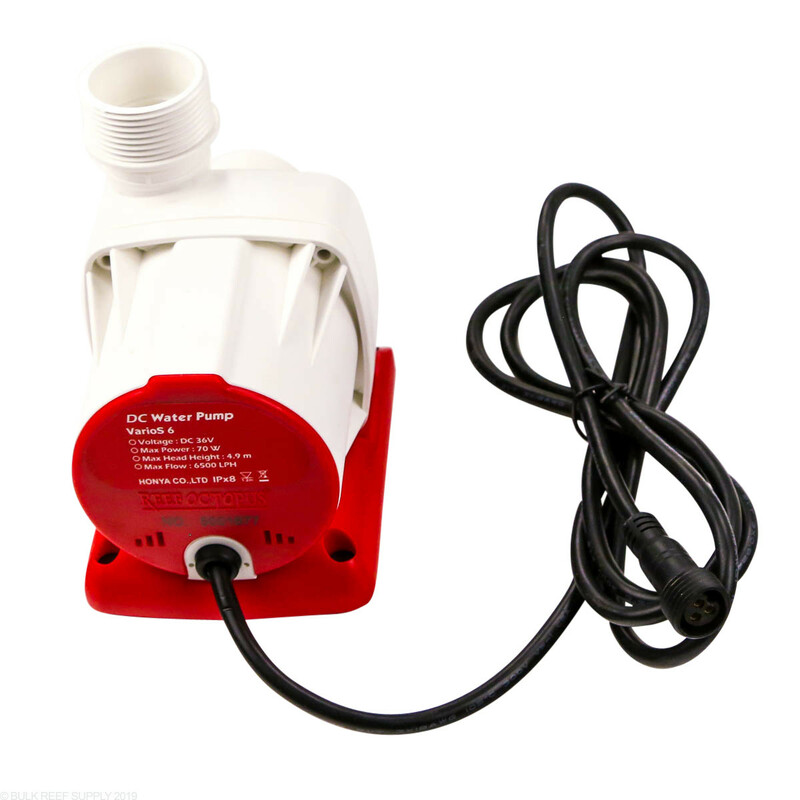 How are these DC pumps on heat transfer? I have used Mag pumps for years but the heat generation requires an external install. Do these run cool enough to sit in the sump without over heating the tank? In general these pumps are significantly more energy efficient and produce less heat waste than traditional AC pumps. 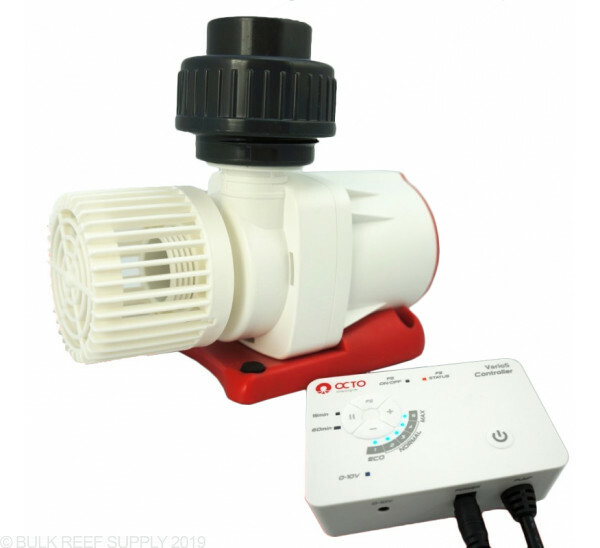 It does depend upon your ambient temps around the tank and other sources of heat, as well as the insulation qualities of your tank, but I would not expect the pump to be a principle source of heat for the tank. We have a number of tanks here at the office running DC return pumps submerged and we still require a heater to keep the tank temps up even after lights, powerheads, and return pump.